You are currently browsing articles tagged Pantsuit Nation. Many of us feel both hopeless and helpless after the Presidential election results. We don’t have to. I have been incredibly encouraged by groups like Pantsuit Nation (abbreviated as PSN in this post) which has united MILLIONS of Hillary Rodham Clinton supporters who are fired up and ready to fight back. I’ve seen numerous posts in national, state, and local PSN groups about creating days of service, holding rallies, starting organizations, and to your enthusiasm and dedication I say “RIGHT ON!” As an alum of AmeriCorps and a former Volunteer Coordinator I would like to make a few suggestions on how to make your service as impactful as possible. Find existing programs and projects*- Check to see if an organization with a similar focus and mission exists before starting a new one. Combine resources and support existing infrastructure to ensure lasting and far-reaching support. Make sure you’re doing what the community needs. Do your research before you give your money- Look up organizations on the free directory GuideStar to find out more about their mission and financials before donating. Be a good volunteer – Show up on time, don’t flake, find one-day or short-term opportunities if that works best, but if you’re saying you’re in for the long haul – commit to it (especially if they have to pay for a background check or do extensive training). 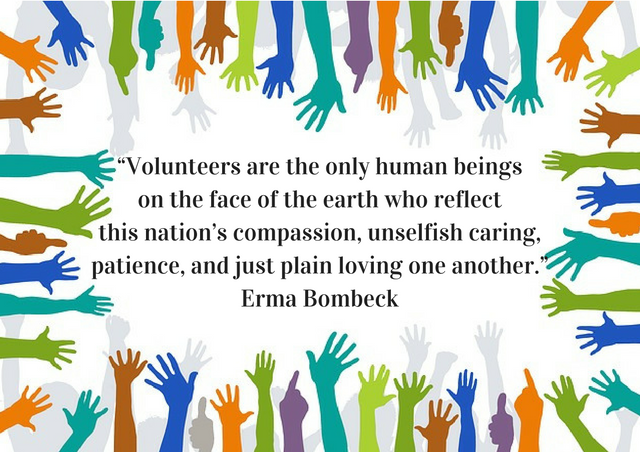 Volunteers are incredibly important resources, but remember they do also cause work for the organization. They require training and supervision. Many nonprofits are able to support this but some may not be at this time. Please be understanding and flexible. Take action. Fight back. Harness your energy. And do it in the best way possible. * While these resources focus on Austin, Texas most are national. You can use them to find opportunities in your region as well.